If your donation was to Exercise Bands was it for a specific individual, if yes who? 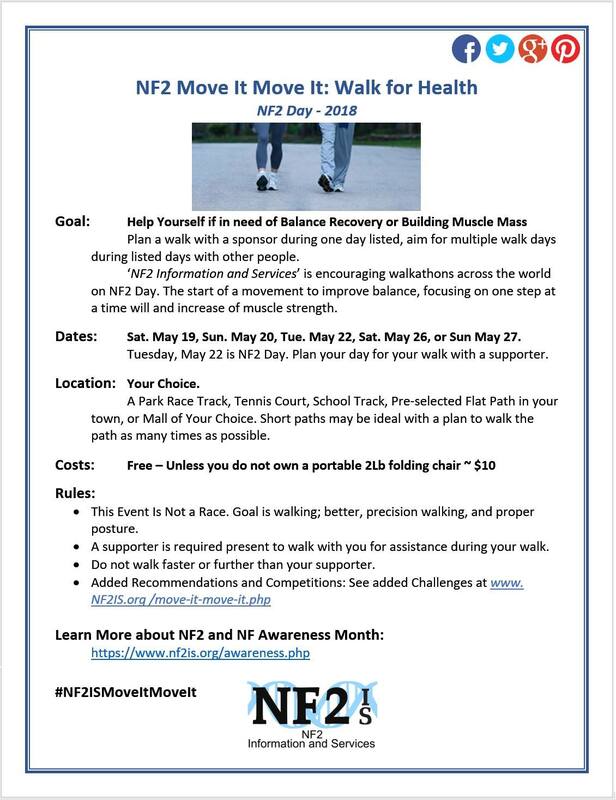 ‘NF2 Information and Services’ is looking at options to help people take steps at home to recover by not just sharing what physical therapy types an individual might need, but options for things people can do safely on their own from home, or gathering with others to help if necessary. Prolonged lack of recovery following doesn’t only leave an individual with muscle weakness and unable to walk but could hurt the heart as per the recommendations of movement needed daily by the American Heart Association, and risk circulation for memory. Possible reasons individuals with Neurofibromatosis Type 2 have issues walking and muscle weakness. Atrophy: from extended periods of lack of movement, common issue during recovery of different treatments. Please help us raise money to give a few people with NF2 Fitbit bands to help improve their health. Individuals would be allowed to pick band type and band color. Both monitor movement, Blood Pressure, as well as vibrate notifications, and while the Charge 2 also allows for cell phone notification with a larger display, the phone notifications can be disruptive. You can also help people with NF2 free by helping with #NF2MoveItMoveIt.